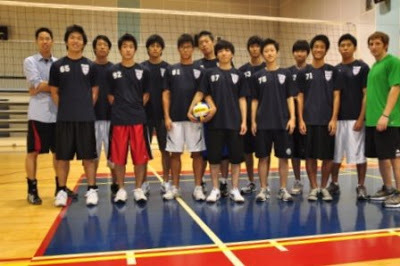 With 38 boys trying out for 12 spots on the volleyball team, it was competive from the start. Seniors Allen Kim and Yoon Chang led the team as captains and as leaders in kills and aces. Jon Bai was a defensive threat while Raymond and Denny dove all over the court as liberos. Brian Oh and David Su were two young freshmen who improved much over the season and show promise for the future. One of the team highlights was running up the mountain to Seoul tower in the rain to work on conditioning and team bonding. They also rented bikes and biked along the river to Seoul Forest to feed the deer and finished with a pizza party at Yoon’s house.